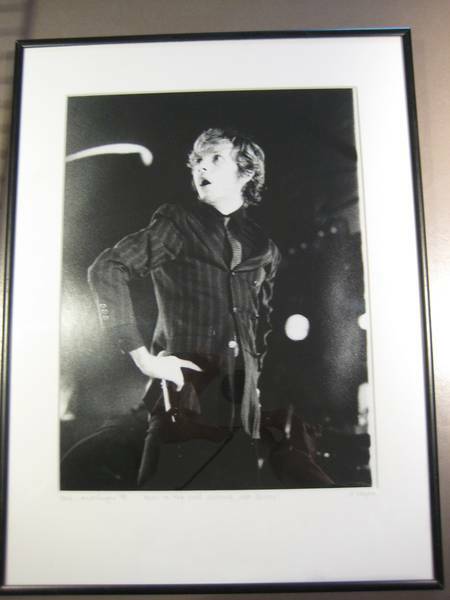 After the Odelay tours were over, and before going in and recording Mutations, Beck went and spent 3 weeks touring Australia and New Zealand at the beginning of 1998. This show is a bit shorter, as it was part of the two-night Mudslinger Festival. 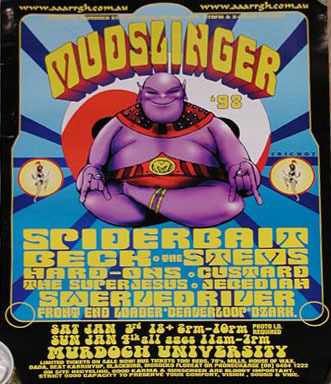 Despite how huge Odelay was, Beck wasn't the headliner, behind some band called Spiderbait! If I understand some reviews correctly, one of the two nights was "underage" and the next night was "overage." But apparently, at both nights, Beck hit the stage in a gorilla mask. Early on, Beck announces that Beck couldn't make it, and that his name is Markie St. James. He later makes up a story about how he started in the band Metal Steel in Buffalo, NY, and demonstrates his six-octave range by singing some Guns N' Roses over "Loser." "Deadweight" had come out at the end of 1997, and this is likely the second time they played it live (and the earliest known recording). Beck refers to its "tropical heat" for the Australian summer. Also these are the first shows with Roger Joseph Manning, Jr. on keyboards!